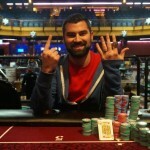 Perfect1232, a professional poker player from Hungary is the new champion of $215 No Limit Hold’em Sunday Million event. He collected a whooping first prize of amount $231,369, by topping a hugh field size i.e. 10,228. The tournament received 10,228 entrants from the world, out of which 7,415 were fresh entries, and 2,813 were re entries and generated an enormous prize pool of amount $2,045,000. 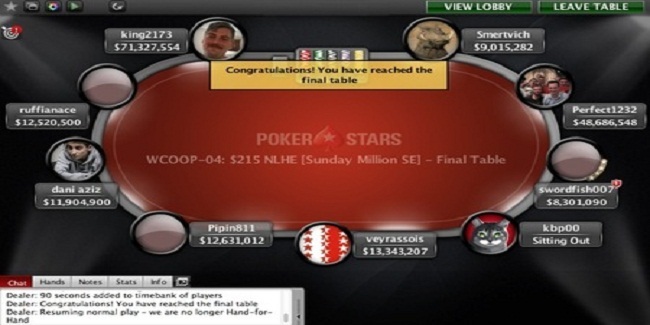 Top 1,268 finishers of this particular Sunday Million collected some amount of money as prize. 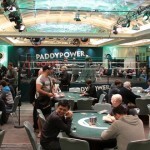 This was the special event of the prestigious Sunday Million, which lasted for two days. 231 players survived on day 1 of the tournament. Canadian Dan “APowers1968” Colpoys was the chip leader of the game on day 1 with total 3,146,329 chip counts. Another Cnadian ruffianace was at second place on Day 1 as per his chip count which was 2,531,270, and Chad “ihaterivers” Walker from Anguilla was at third position with total 2,524,556 chips. The day 2 of the game started on its scheduled time and just after two hours of play it was down to 100 players. Only 18 players remained after five and half hours of play i.e rolandinjo was booked to 18th place and received $5,556. Seat#1, seat#2 and seat#3 were for Smertvich (Russia) — 9,015,282, Perfect1232 (Hungary) — 48,686,548, and Manig “swordfish007” Loeser (Austria) — 8,301,090. Seat#4, seat#5 and seat#6 were for kbp00 (South Korea) — 16,829,907, veyrassois (Switzerland) 13,343,207 and Pipin811 (Argentina) — 12,631,012. The winner was decided after 10 long hours of play on second day and it was Hungarian Perfect1232, who made $231,369 from the tournament. He had A♥T♣, when won the championship, against Smertvich: 9♣4♣. The flop was A♣8♦7♥. The first one to go was Brazilian dani aziz, who made $16,076 from the match, being at ninth position. Austrian swordfish007 was at eighth place for a total $22,909, whereas just after a couple of hands another player named ruffianace from Canada got busted to seventh place for $32,644. Sixth, fifth and fourth place of the match belongs to players from South Korea, Switzerland and Argentina and they were kbp00 ($46,517), veyrassois($66,285) and Pipin811() $94,455.17). king2173 comes third in the list for a total $174,914, and Smertvich was the runner up for $193,412.